The Supreme Court of Canada will deliver a ruling Thursday on an issue that has become increasingly fraught: the Crown's constitutional duty to consult with Indigenous peoples. A decision in favour of the First Nation in question could have sweeping consequences for Canada's legislative process. The Supreme Court of Canada will deliver a ruling Thursday on an issue that has become increasingly fraught: the Crown's constitutional duty to consult with Indigenous peoples — and a decision in favour of the First Nation in question could have sweeping consequences for Canada's legislative process. The Mikisew Cree First Nation, a band in northern Alberta, is appealing a ruling from the Federal Court of Appeal that said there is no obligation for cabinet ministers to consult with First Nations peoples before introducing legislation that may have an impact on their constitutionally protected Aboriginal and treaty rights. The problem for this First Nation stems from the former Conservative government's 2012 omnibus budget bill, the Jobs, Growth, and Long-Term Prosperity Act, a piece of legislation that dramatically amended the Navigable Waters Act and overhauled the Canadian Environmental Assessment Act. They say the changes — essentially reduced regulatory oversight of waterways and a less burdensome environmental review process — affected their protected hunting, fishing and trapping rights; these rights were guaranteed by the Crown when it signed Treaty 8 in 1899, and enshrined as constitutional rights after the passage of the 1982 Constitution Act. The minister, they argue, should have consulted with them before making considerable changes to a legislative framework that could undermine treaty-protected rights. Government lawyers have argued the legislative process should be beyond judicial review. If the top court sides with the Mikisew, the legislative drafting process could face massive — and potentially onerous — new changes that would demand First Nations peoples be consulted before any bill that could affect their rights is even tabled in Parliament. The decision will be made public at 9:45 a.m. ET on Thursday. While there is presently an obligation on the executive to consult with Indigenous peoples before making a decision that could affect their rights, the government has said the legislative process is wholly separate and does not trigger a duty to consult as it would be an impractical interference that would severely impede in the policy-making process. Federal lawyers also argue that forcing Ottawa to give Indigenous representatives a seat at the table diminishes Parliament. It could also put more value on some rights than others, giving treaty rights preference over other Charter rights, they have argued in court. Presently, the Crown typically carries out its obligation to consult with potentially impacted First Nations through other means, like with the National Energy Board when a natural resources project could infringe on protected Aboriginal rights or through a Crown consultation team — as was done by the Liberal government in the case of the Trans Mountain pipeline expansion project. 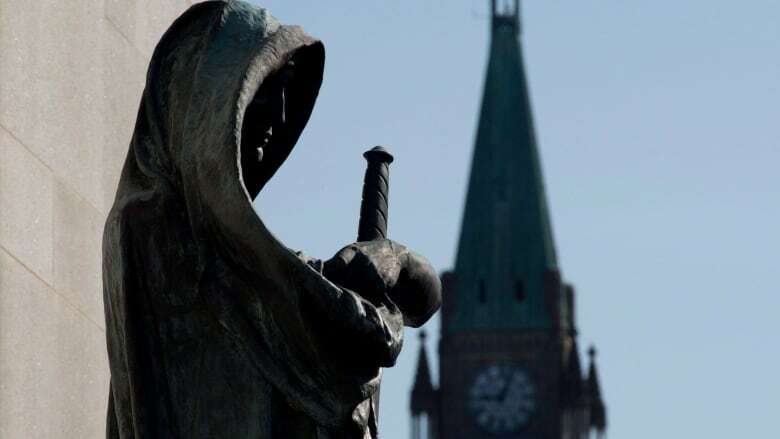 In August, the Federal Court of Appeal found the Crown consultation team in that case did not adequately consult with Indigenous peoples as it was not a meaningful or two-way dialogue between government and First Nations. It said government consultants were glorified "note-takers" that simply reported Indigenous concerns back to cabinet. While they could have imposed restrictions on the project, they did not. On these grounds, the second-highest court quashed cabinet approvals for the multi-billion dollar project. Thus, the duty to consult has become a matter demanding more attention.